After finishing his obligations in China, “Lou” returned to Greece. 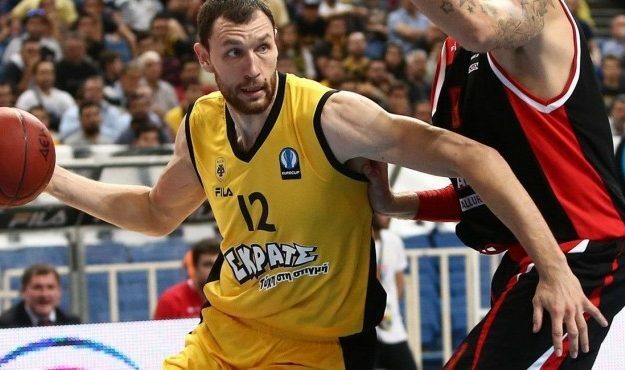 AEK BC officially announced that Loukas Mavrokefalidis signed a contract with the team for the remainder of the season. The veteran forward/center, who had joined Chinese Qingdao DoubleStar on December, is thus returning to the Greek club after 2015-2016, in order to bring a boost of quality and experience in the efforts of AEK in both the Greek League and the FIBA Champions League. In his previous stint with AEK, the Greek big guy had averaged 24.2 points, 9.7 rebounds and 2.8 assists per game in Eurocup as well as 13.9 points plus 6.4 rebounds in the Greek League.